Hitting the trails with your 8-11 year old? If your rider isn’t quite big enough for a full sized mountain bike, but is ready to graduate from a 20-inch wheel bike, a 24-inch wheel bike may be the perfect middle ground. 24-inch bikes can last your kiddo 2-3 years and can definitely take your kid to the next level. Before you shell out the money on a new mountain bike for your kid, you’ll want to be sure that your kid can straddle the bike with both feet flat on the ground (for beginners) or on tip toe (for more advanced riders). Get a good stand-over height measurement by measuring your child’s inseam. We recommend that you look for a bike that has the biggest wheels available for your kid’s stand-over height. Bigger wheels roll more easily over obstacles on the trail. A bike with larger diameter wheels will be more stable and more efficient for longer rides than smaller wheels because they require less effort to keep their momentum going. 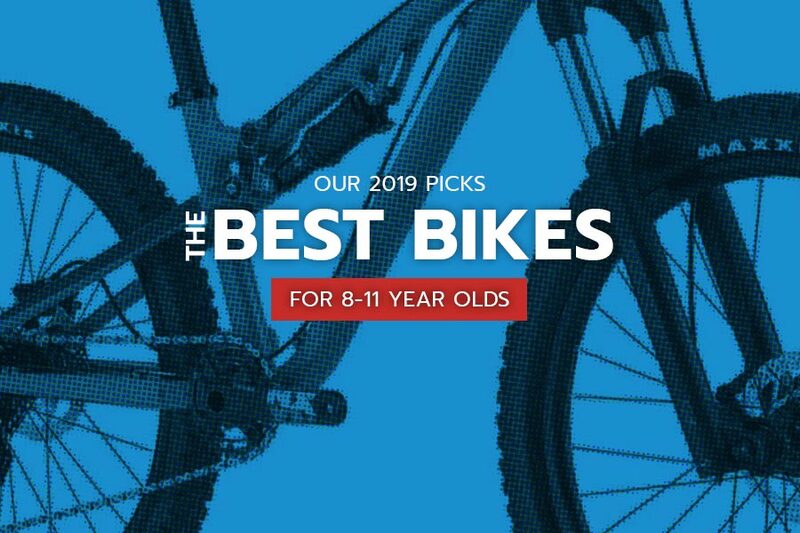 Kids on the taller side may fit on a 26-inch wheel bike, so you might want to check out our list of best 26″ wheel bikes for kids before making a purchase. 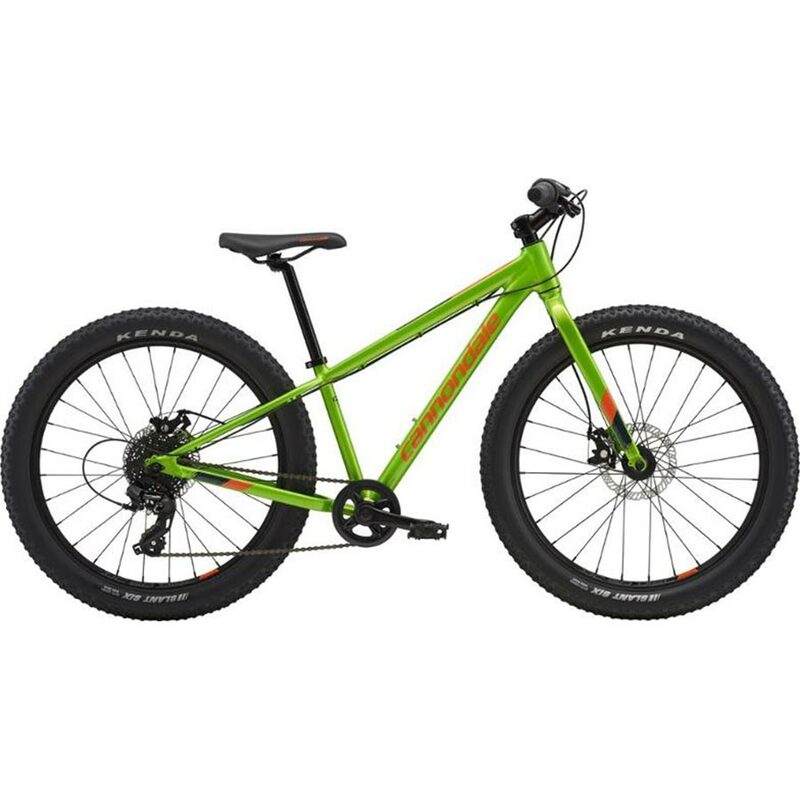 Here is an overview of our top ten 24-inch wheel mountain bikes for 8-11 year old kids. Check out the comparison table at the end of the article to see all the size, cost and other data in one place. The Orbea MX 24 features child-centered design including small brake levers, saddles, and pedals to optimize fit and comfort. The MX 24 includes hydraulic disc brakes to provides powerful stopping power to keep your rider safe and in control. The 10-speed drivetrain gives them a wide range of gears to handle varying terrain. The high-quality components are built to last. Suggested rider height 4’5” to 5’1”. Check out our Orbea MX Trail Review for more details on Orbea bikes. The Prevelo Zulu Four Is a 24-inch wheel mountain bike for kids with high performance mountain bike components. The Zulu four geometry is low and narrow with a slack head tube angle to keep the bike controlled over rough terrain. The Zulu Four Heir includes a lightweight 80mm travel air fork with adjustable rebound, lockout and compression. The Tektro front and rear hydraulic disc brakes ensures smooth and easy speed control and stopping. The 1x 11 Shimano SLX Shadow RD+ 11-speed provides wide span gearing to give riders plenty of range to spin up tough hills. 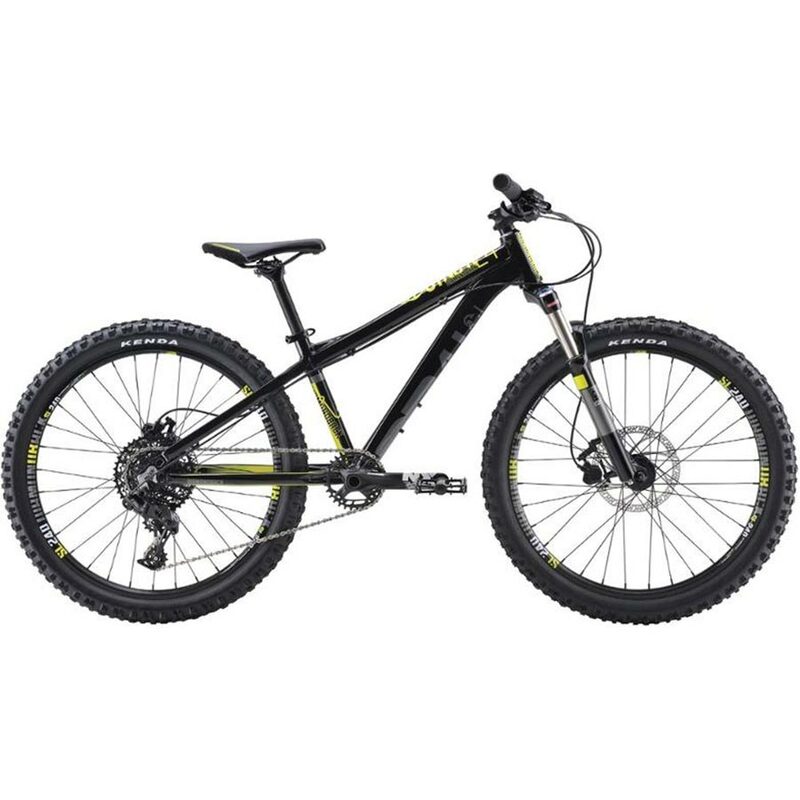 The Transition Ripcord Complete Mountain Bike is an excellent bike for up and coming young rippers. This bike boasts a high quality component set and modern geometry in a kid-sized package. Offered in one size for riders measuring 3’8″ to 5′. The Rockshox Monarch R and the RockShox 30 Silver TK 26 will give your rider a smoother ride over the gnarliest of trails. 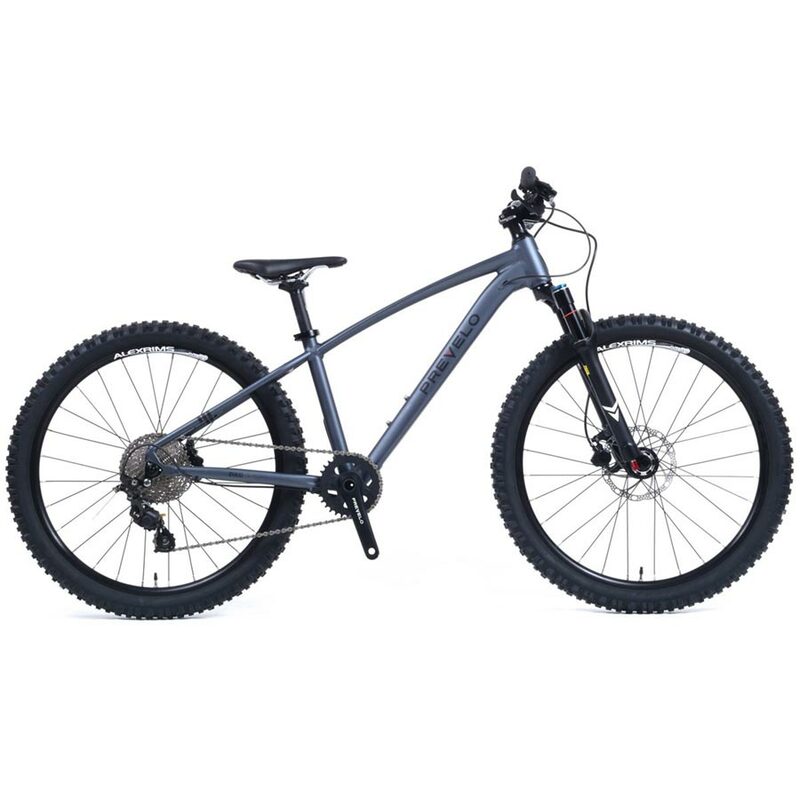 With a Maxxis Minion DHF on the front and a Maxxis DHR II on the rear this make is made to deftly balance rolling speed with braking and cornering traction. The Giant XTC SL JR is designed to give young riders confidence and control while riding. This bike features a low stand-over height and geometry designed for smaller riders. 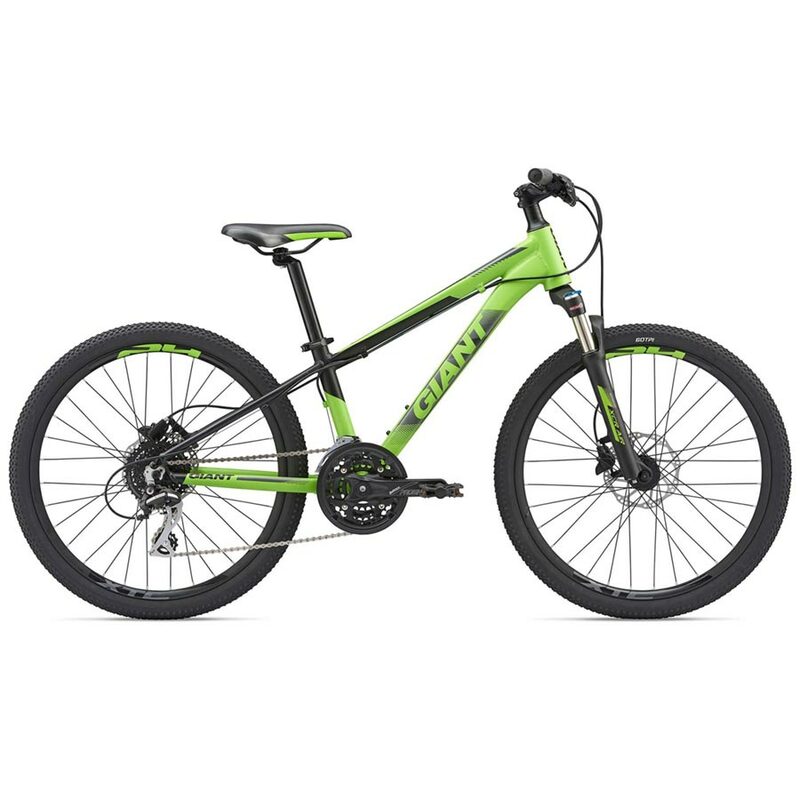 The XTC SL JR comes with an easy to use drivetrain, powerful hydraulic disc brakes, and youth sized components for increased comfort and control. An SR Suntour fork is included to smooth out the trail. 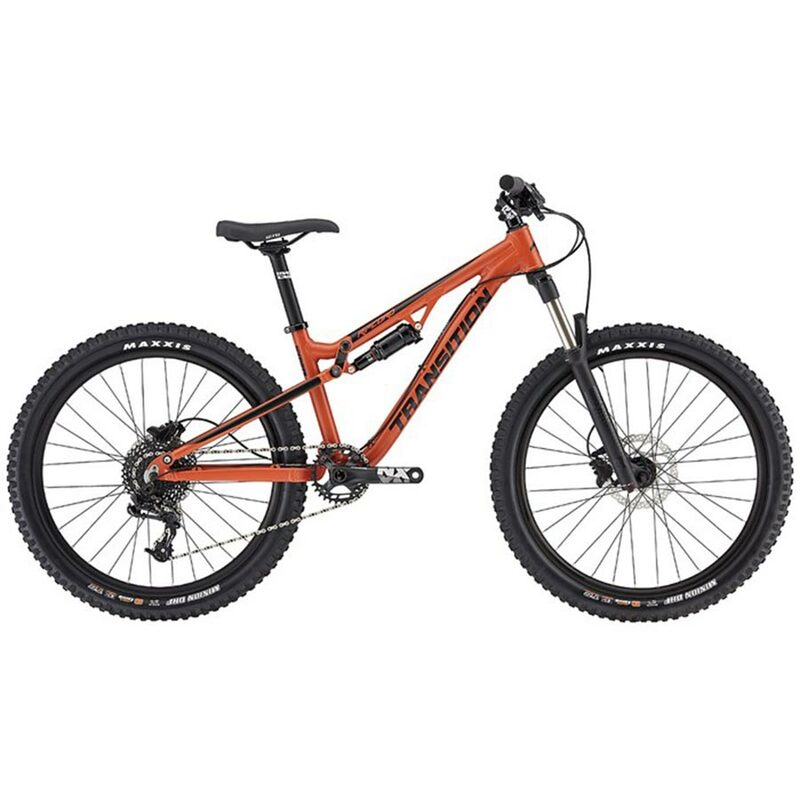 The Diamondback Sync’r 24 is a completely capable kids mountain bike. 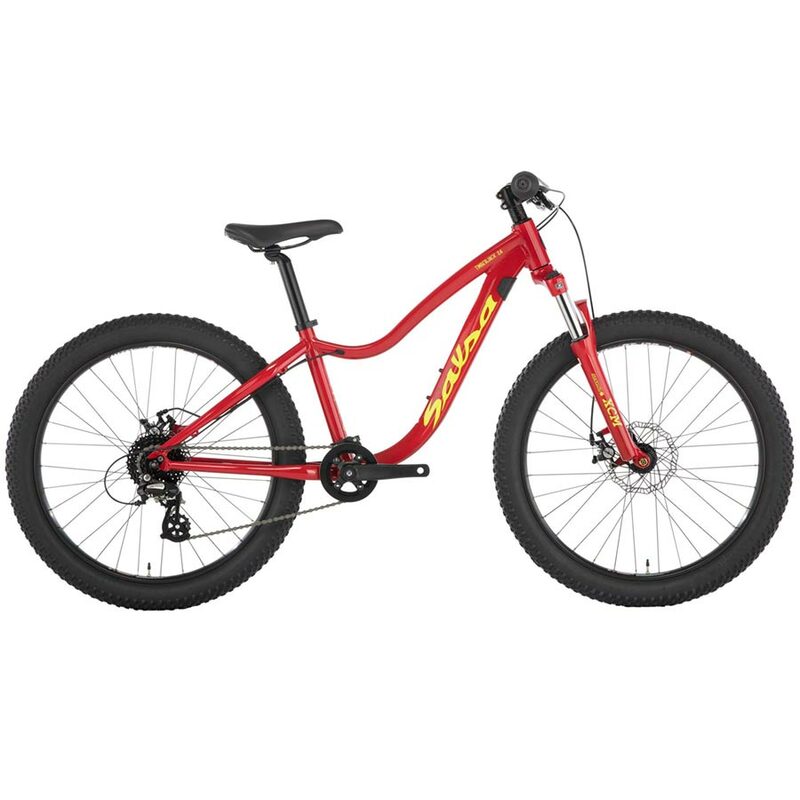 The 24 inch wheels and low slung geometry provide just the right fit and handling for young riders (8-12 years old). The Sync’r is built from 6061-T6 Aluminum. The double wall wheels are built to be tough, while the grippy 2.35 inch wide Kenda tires provide traction and stability. Tektro hydraulic disc brakes ensure safe stopping, and 11 gears will help your rider tackle any terrain. 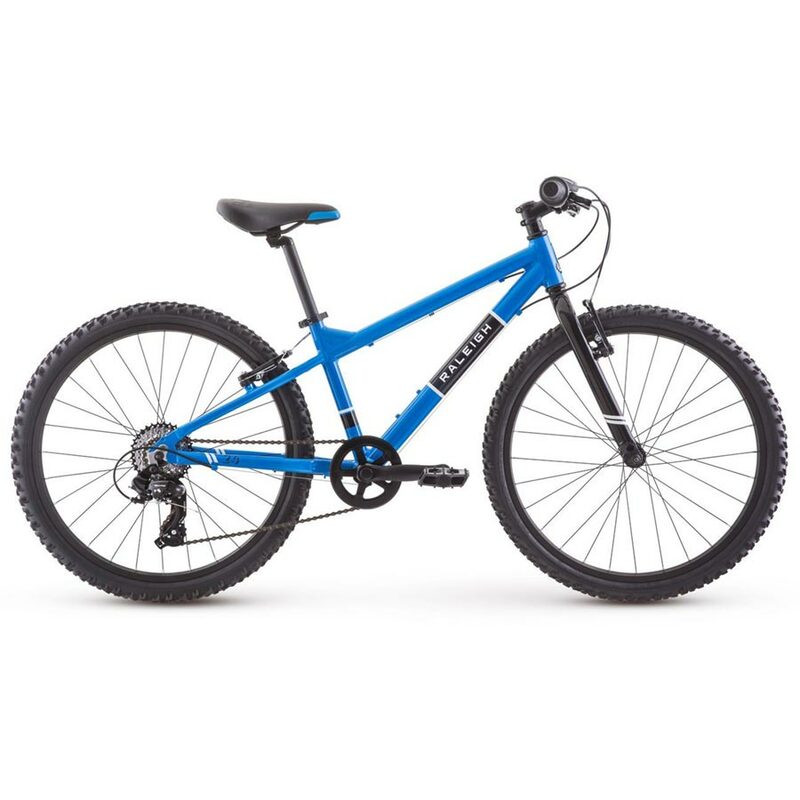 Cleary Bikes Scout 24-inch is a great kids’ bike for kids to ride on and off the trail. Cleary includes hydraulic disc brakes for confident speed control and 10 gears to help your rider up the hills. Tubeless ready tires and rims let you choose what to run. Brake levers and pedals are junior sized for a great fit. The Suntour fork has 80-mm of travel to smooth the trail a bit. As with all Cleary bikes, this frame is made of super strong 4130 Chromoly. The Salsa Timberjack 24 is designed with a 6061-T6 heat-treated aluminum frame, plus-sized tires, modern-day componentry and geometry specific for the right size of rider. The Timberjack 24 has an SR Suntour XCM 30 24″ Plus Fork and plus-size tires to smooth out the trails and add grip and stability. The Rowdy 24 ,“designed for boys”, and the Lily 24 “designed for girls” are essentially the same bike with slightly different frames and gender designated colors. (Come on, Raleigh – it’s 2019). The Rowdy and Lily 24” bikes feature a lightweight aluminum frame made to fit kids 10-14 years old who are 58″- 63″in height. The included Shimano 7-speed grip shifters allow your rider to choose the best gear for the terrain. The Raleigh JR Mountain saddle and JR grips are designed to fit the proportions of a growing child. 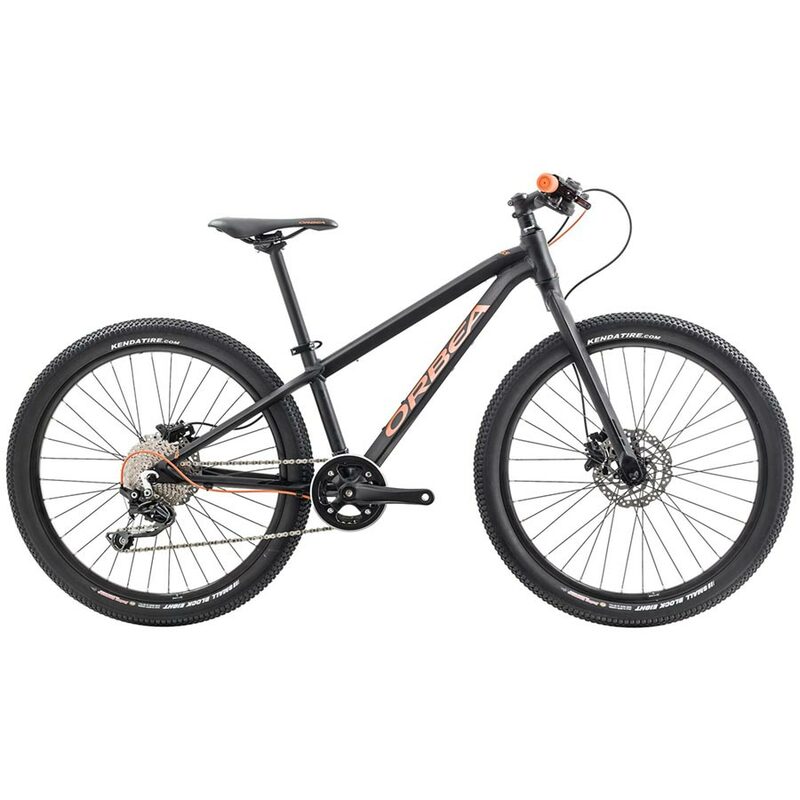 The Cannondale Cujo 24 Plus kids’ bike has plus sized tires to give a confidence-inspiring grip and a comfortable ride. This bike has an aluminum frame with a rigid fork for lightweight durability. The Cujo 24 features Tektro mechanical disc brakes to deliver stopping power. Claimed Weight 24 lbs. 6.4 oz. 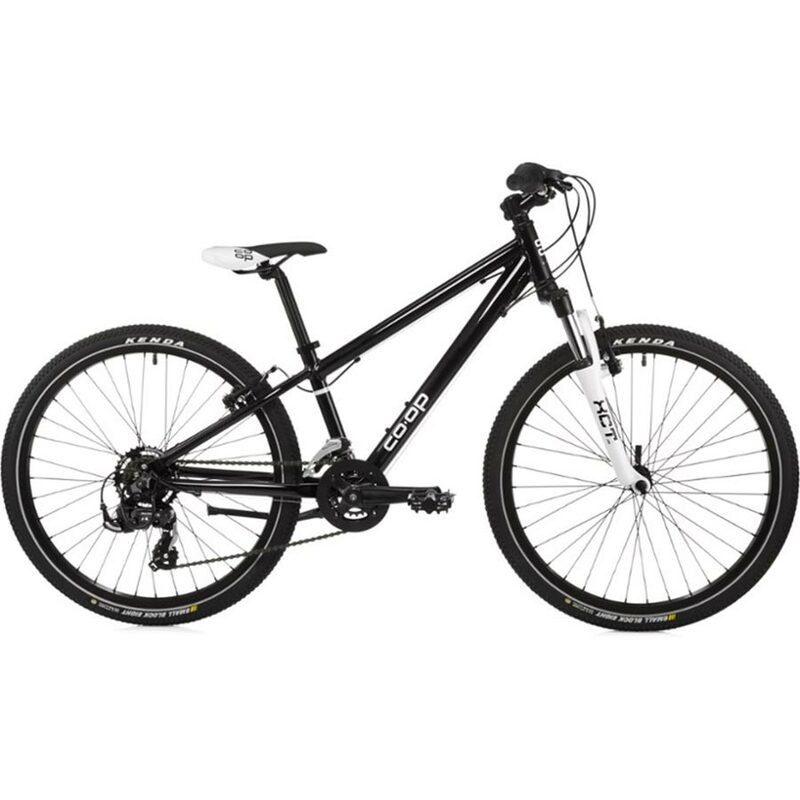 The Co-op Cycles REV 24 bike 6061 has an aluminum frame and the suspension fork offers 50mm of travel to soak up bumps. This bike has 12 gears to give a wide range for climbing and descending. 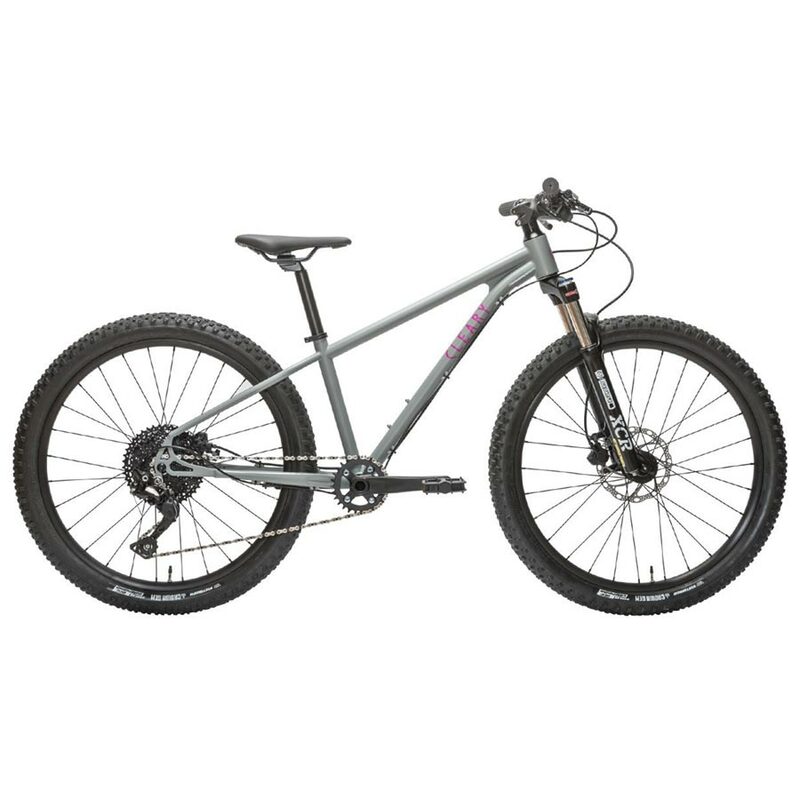 Includes V brakes, all-terrain tires and a sturdy chainring guard.